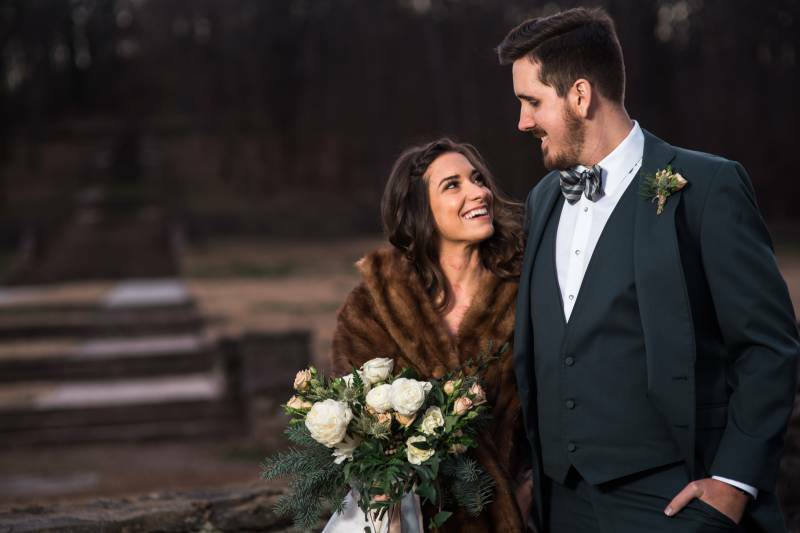 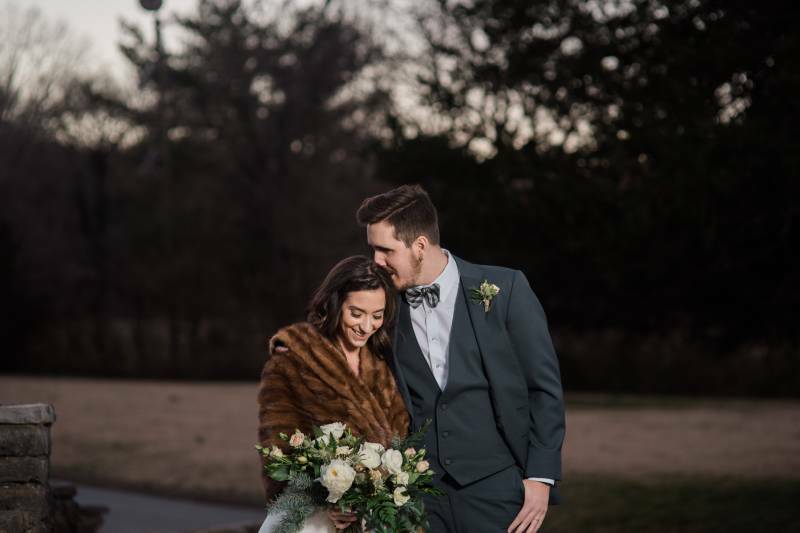 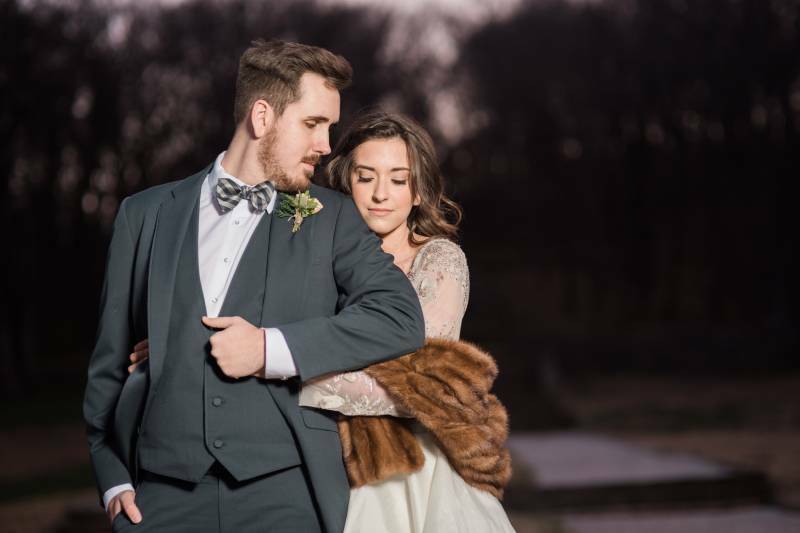 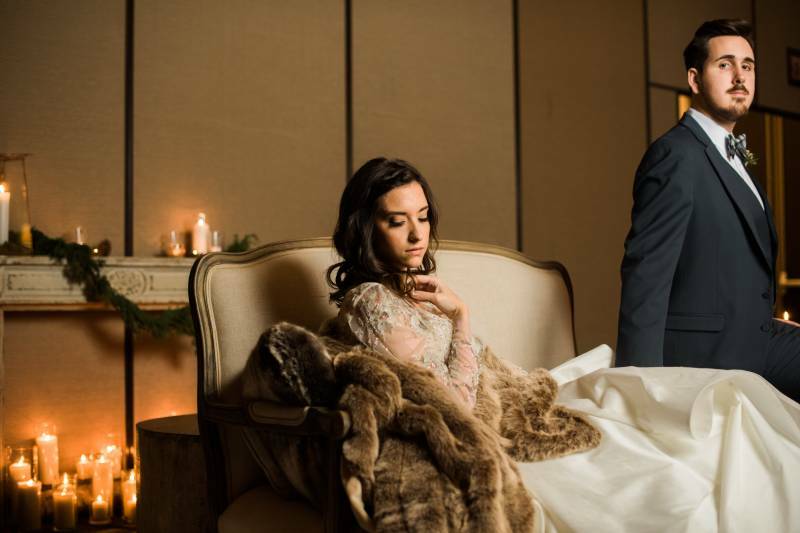 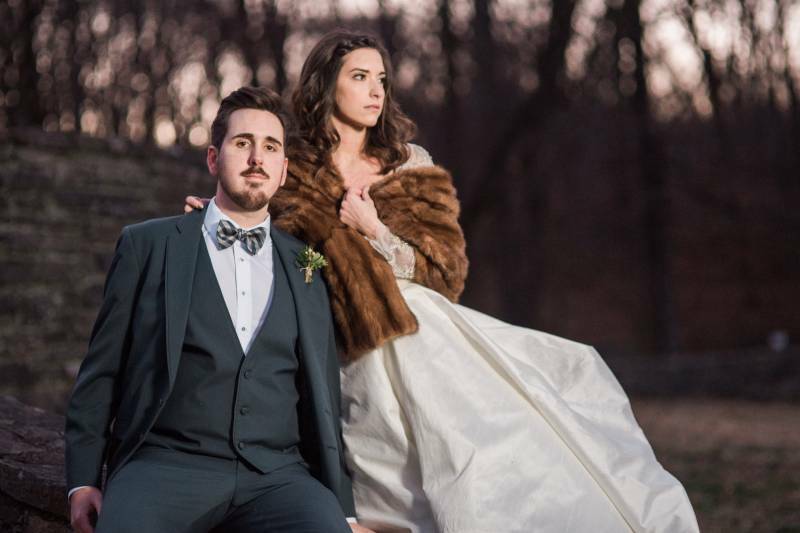 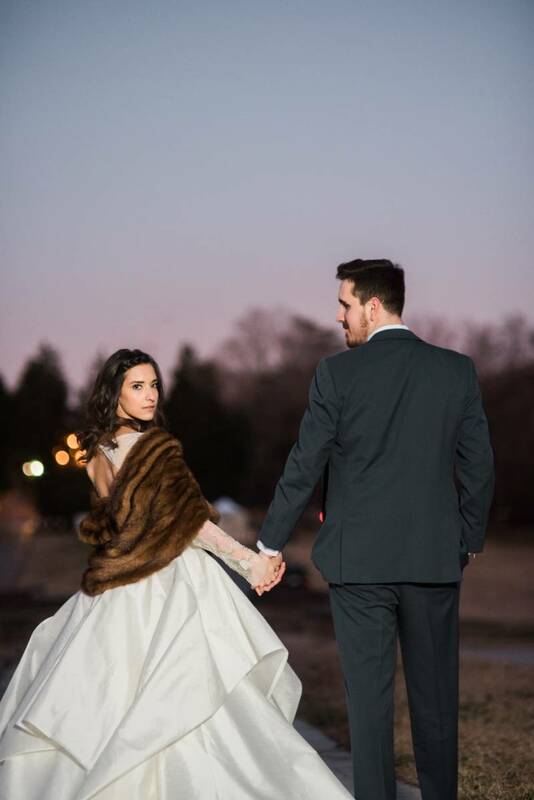 Winter is still hanging on and we're celebrating this last bit of cold today with a styled shoot from the Nashville Wedding Planners Group! 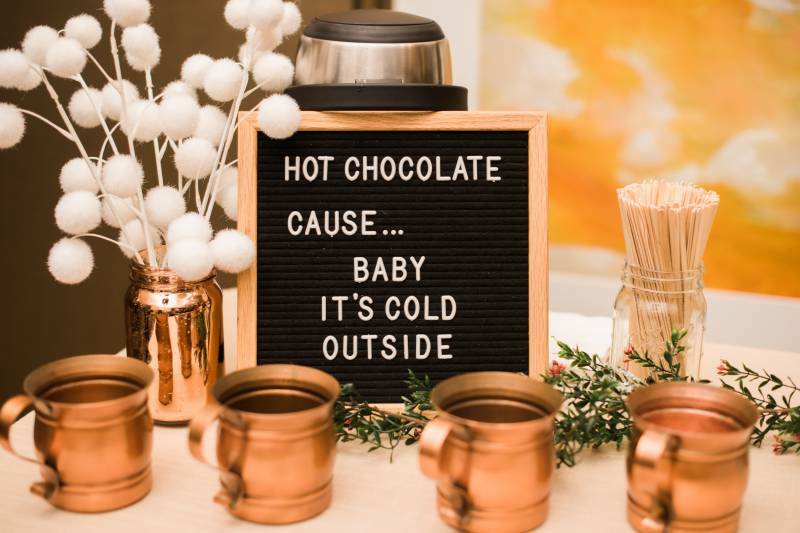 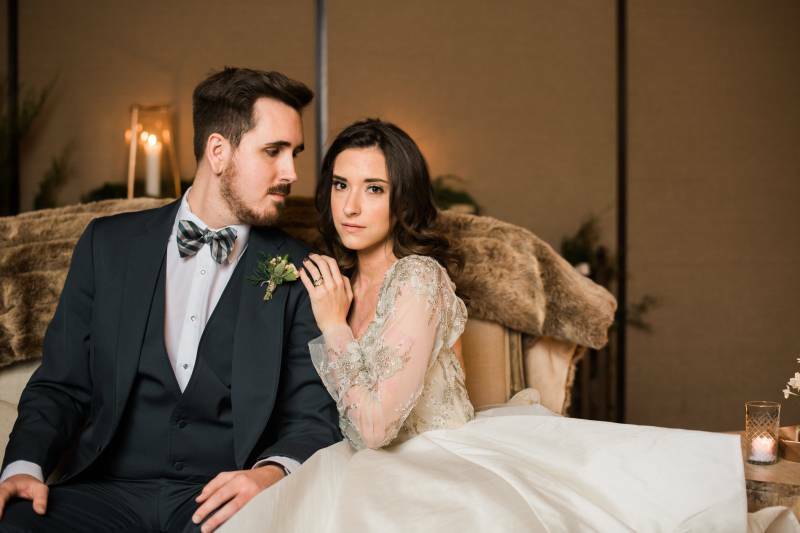 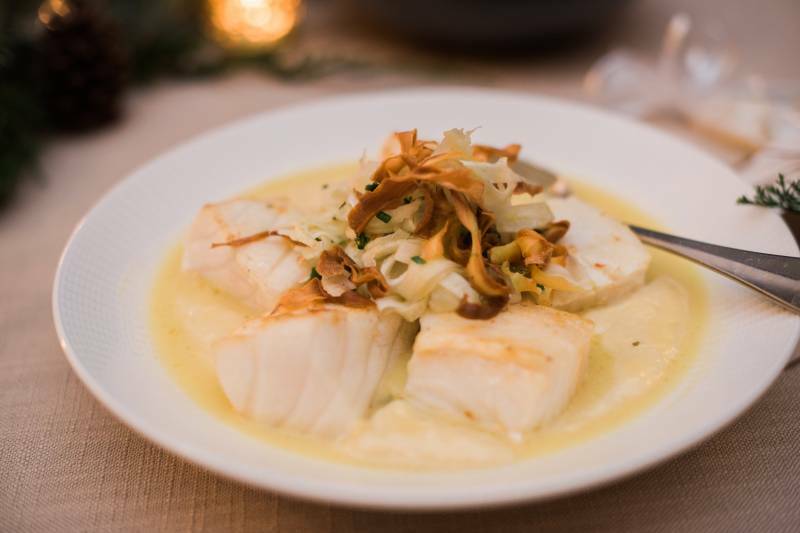 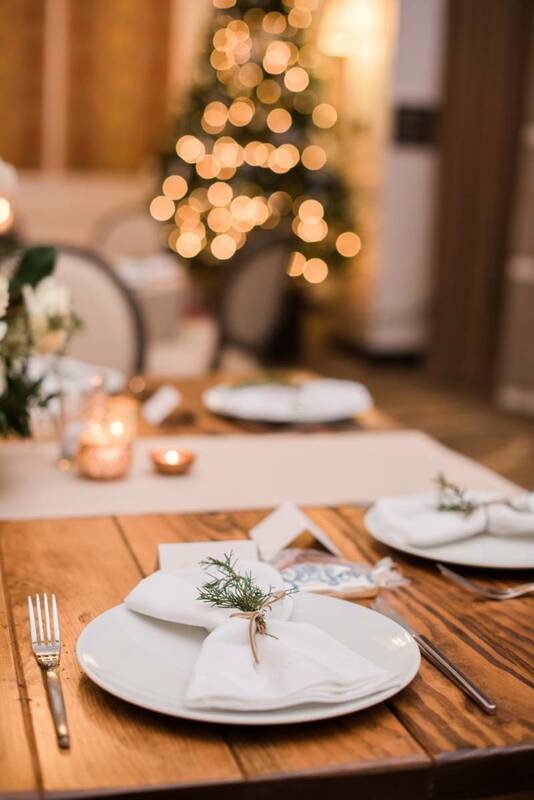 The team of wedding planners collaborated with local wedding professionals to create a Nordic winter scene with cozy models, winter table scapes, comfort food, musical talent and more! 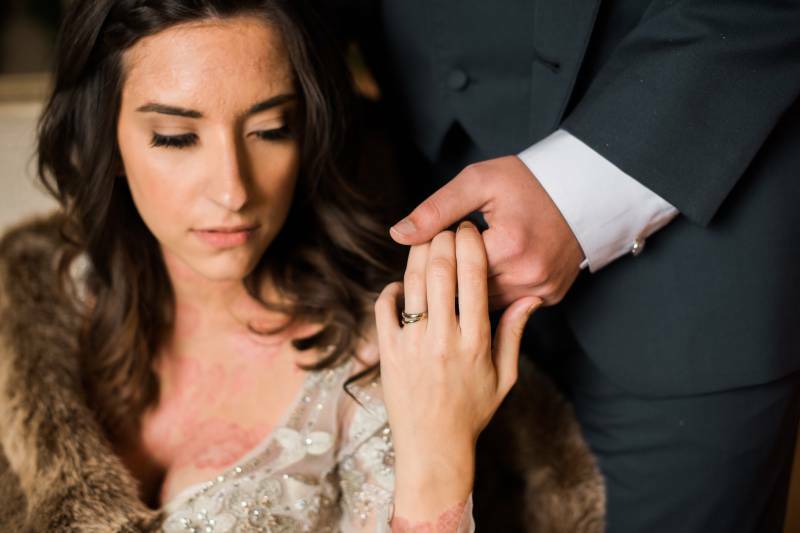 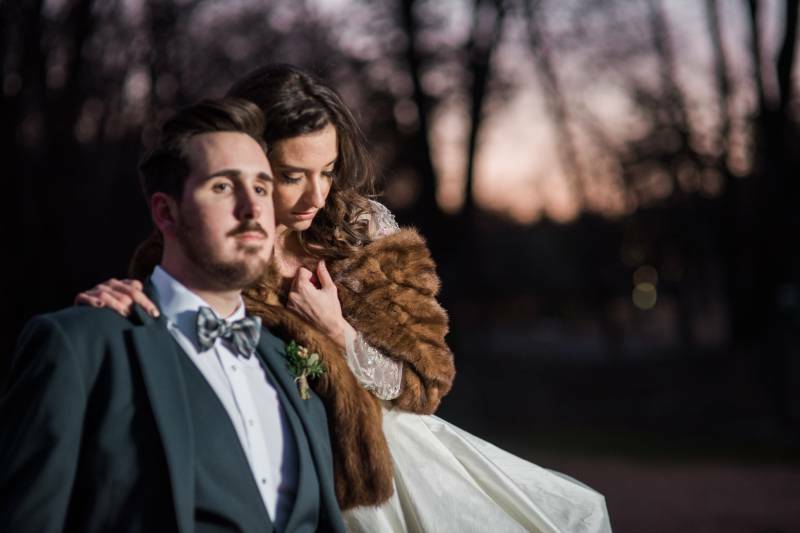 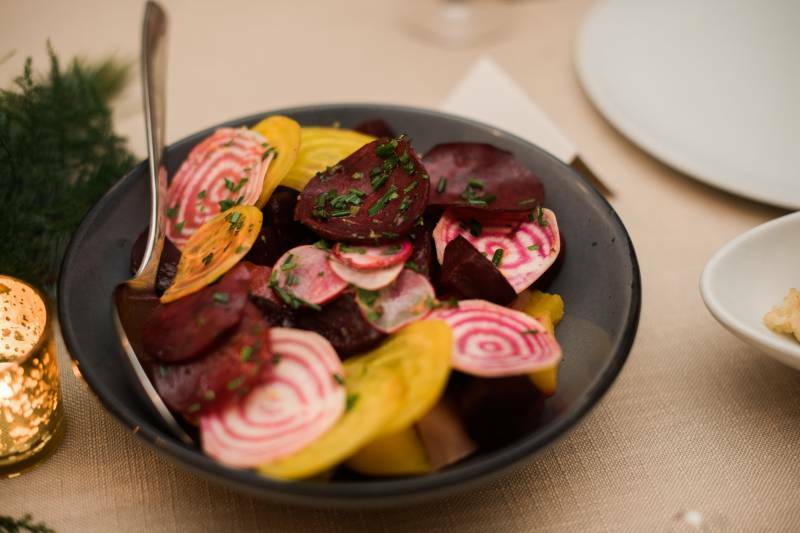 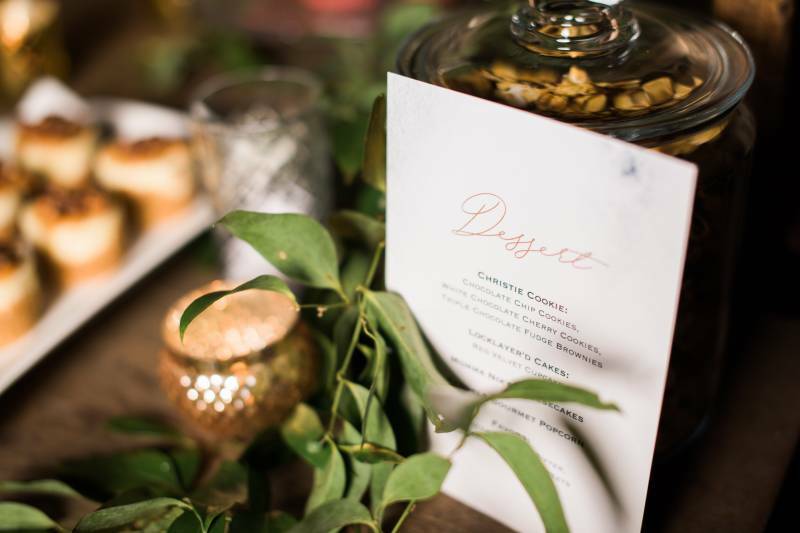 Planner Megan of Locklane Events has shared the inspiration behind the shoot below! 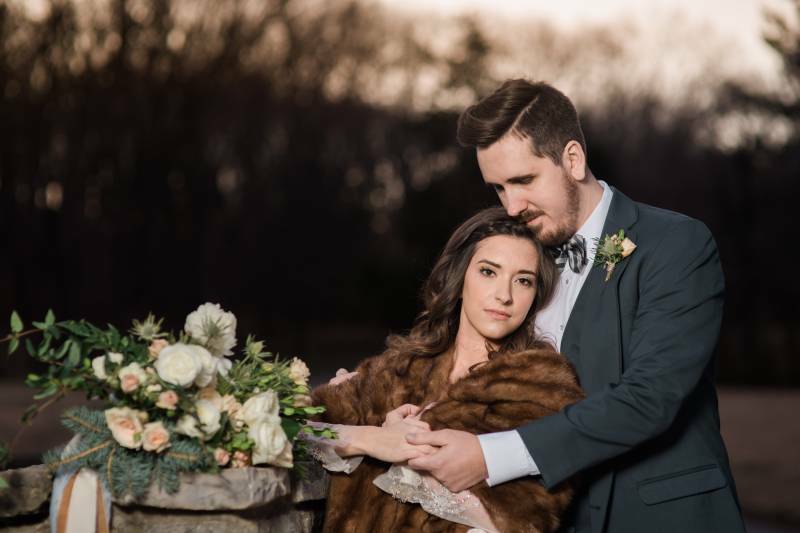 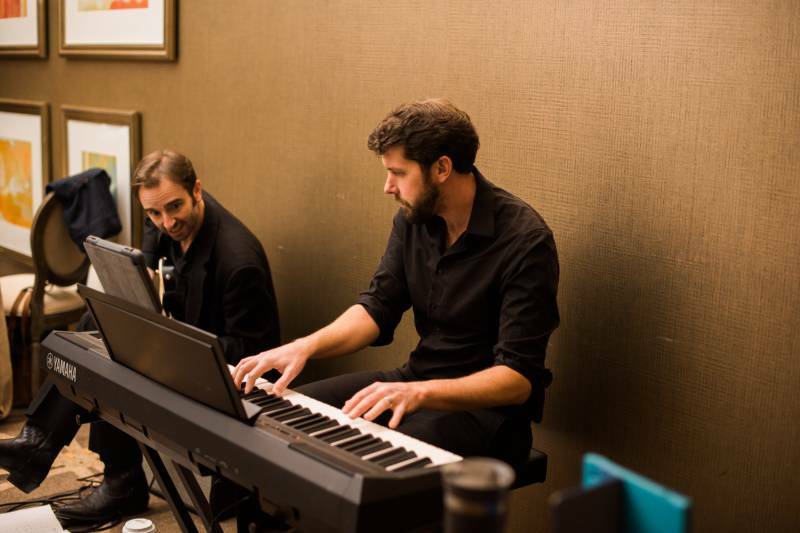 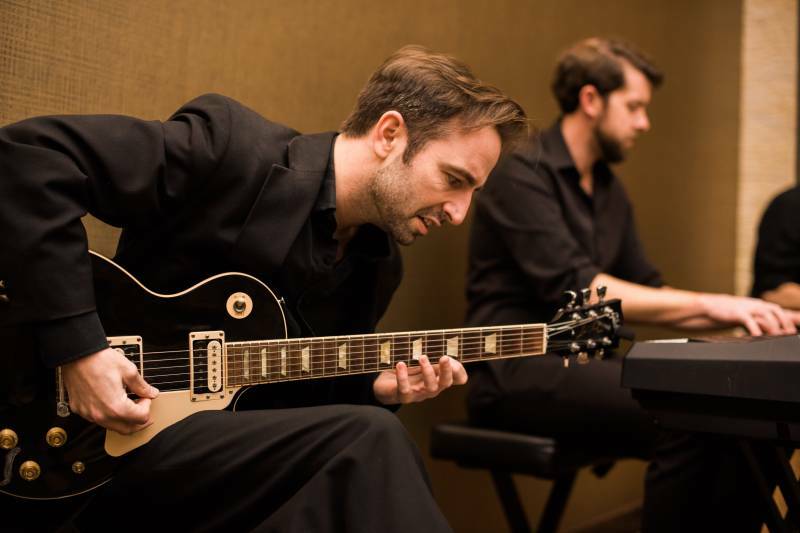 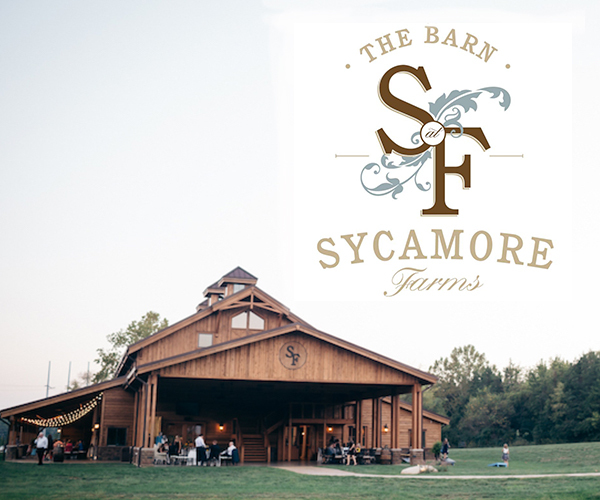 Check it out along with photos from Ryan Tolbert Photography! 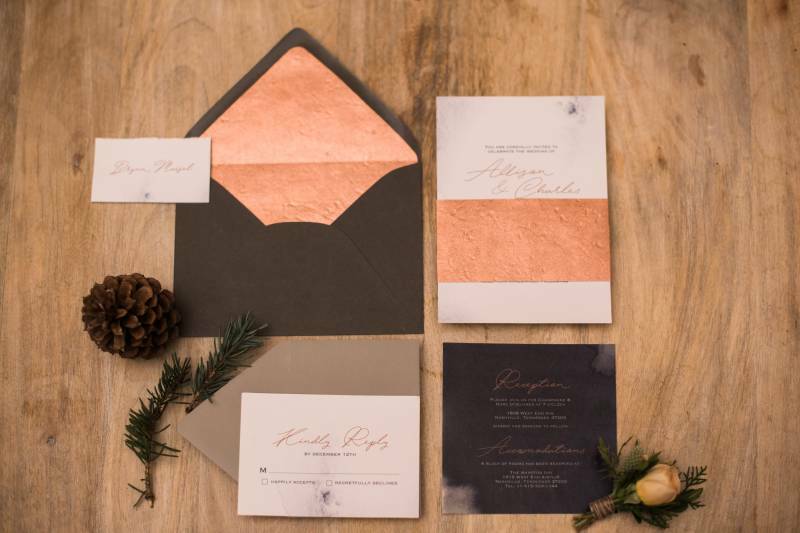 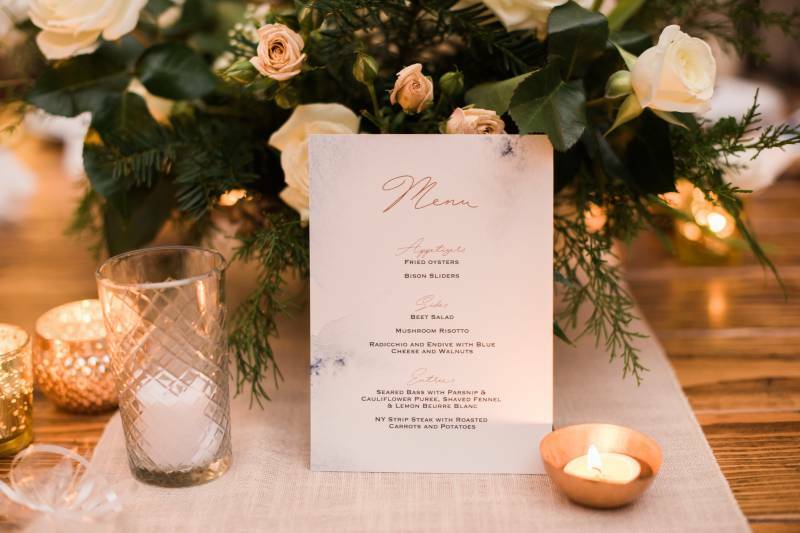 From planner, Megan of Locklane Events: A group of 8 planners combined ideas to create this Nordic Winter Wedding Inspiration (that is not an easy feat!). 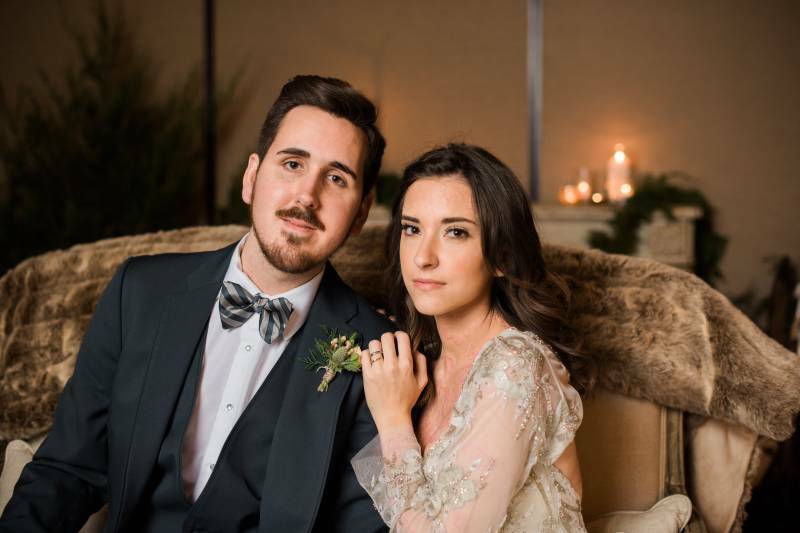 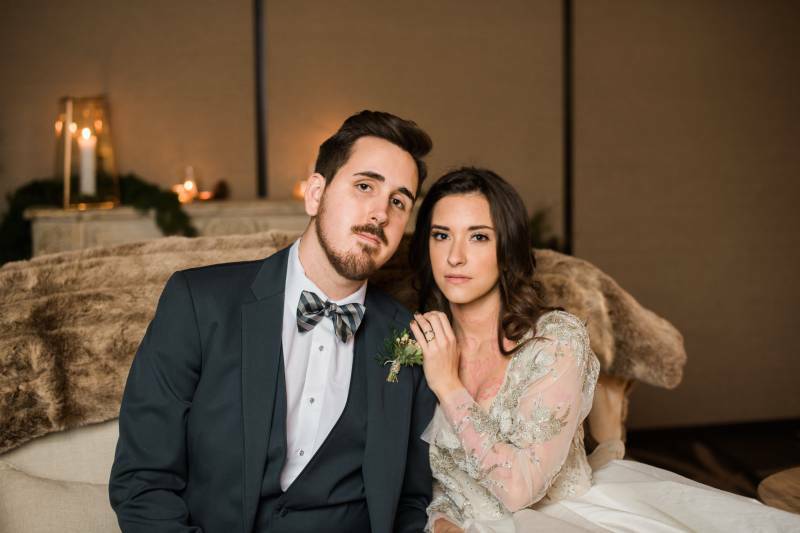 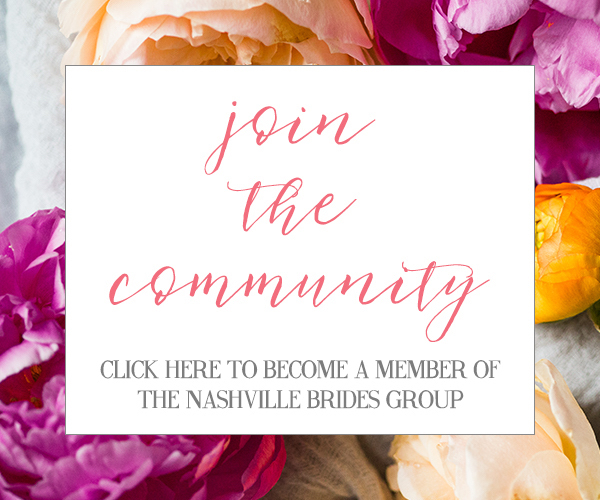 We wanted to the end the year with a great collaboration of Nashville wedding vendors and the Nashville Wedding Planners Group; we accomplished our goal with over 20 vendors! 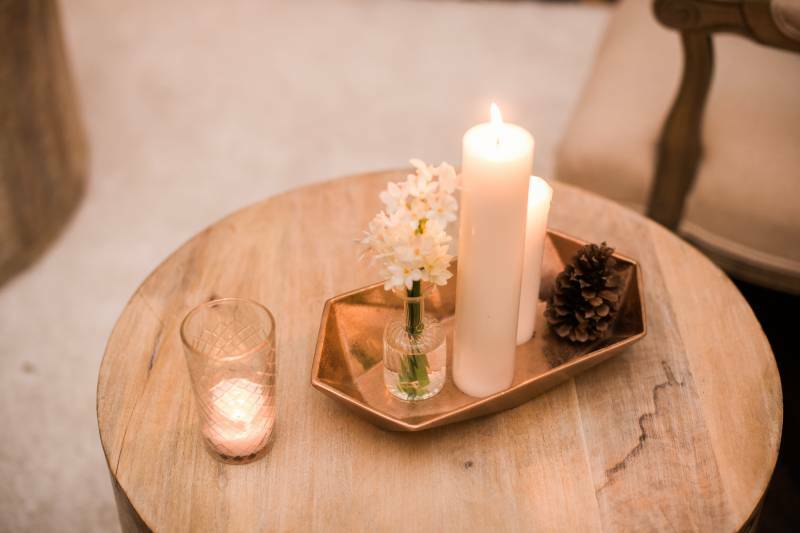 Our design began with the idea of creating a soft seating space that held the same feeling of a living room on Christmas morning. 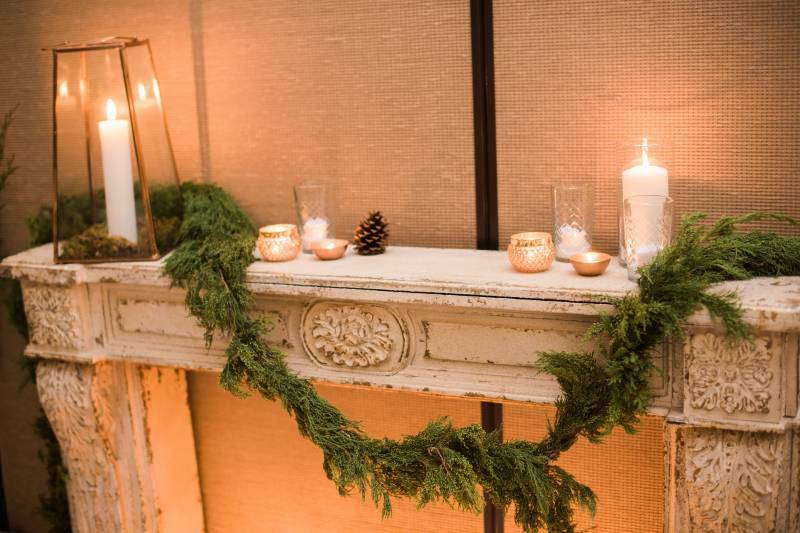 We were able to find a perfect faux fireplace through White Door Events. 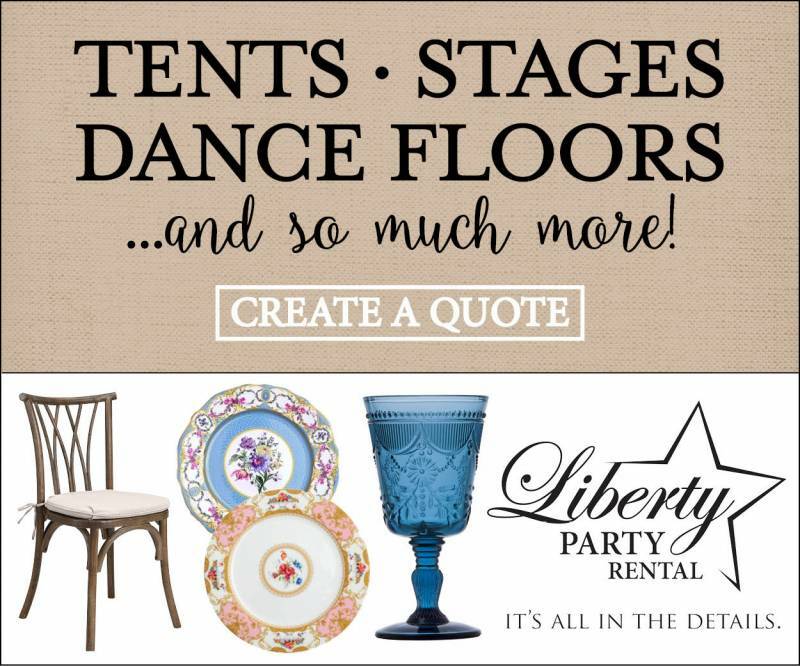 From there we sourced a sofa, chairs, side table, throws, and more. 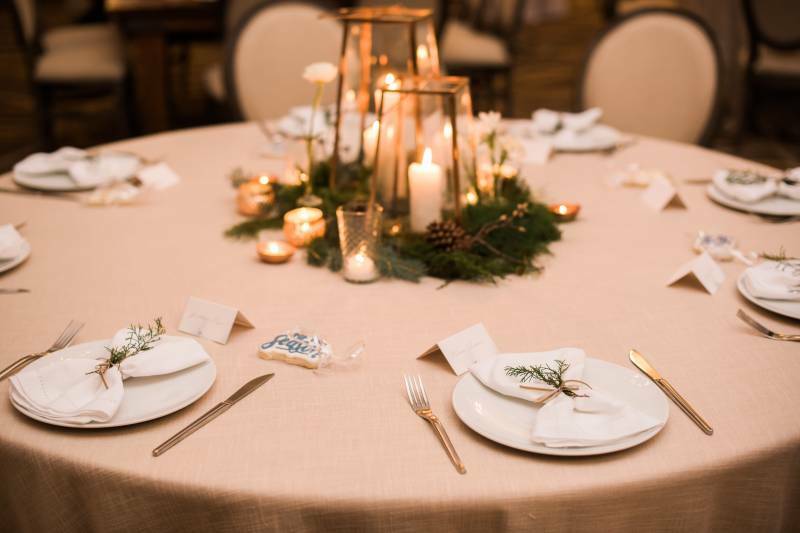 An abundance of candles and a real cedar tree created the warmth we sought to bring inside the Hutton Hotel. 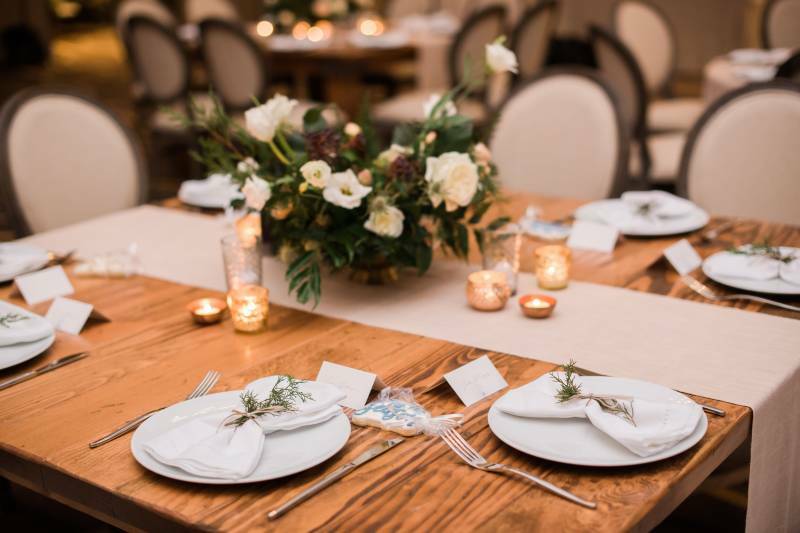 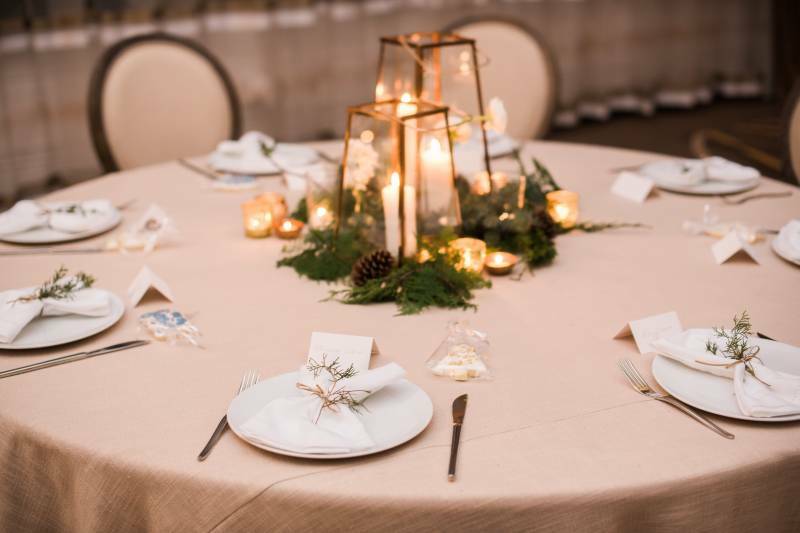 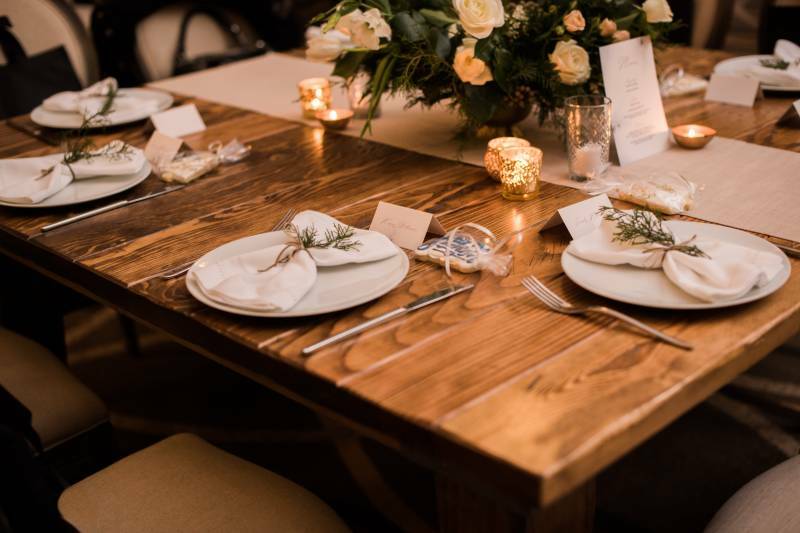 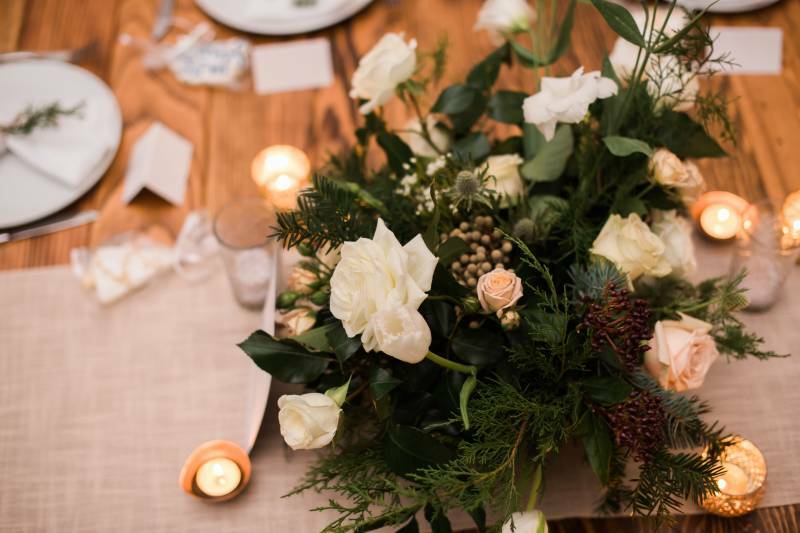 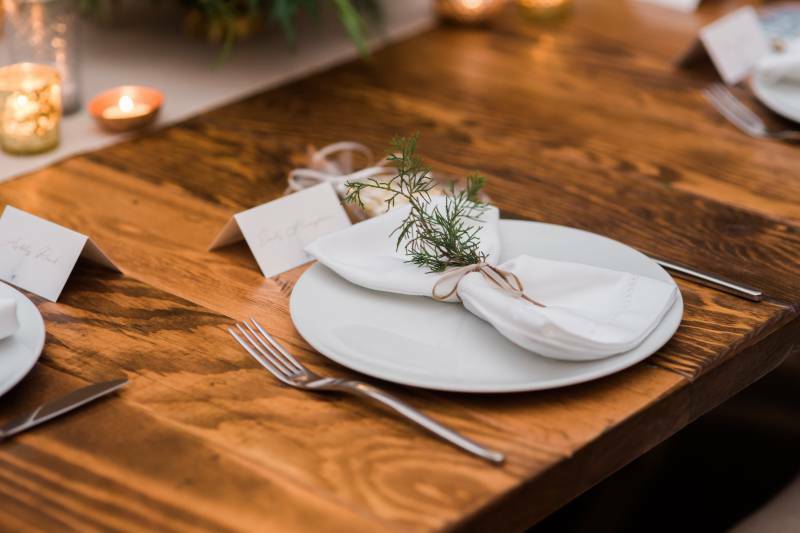 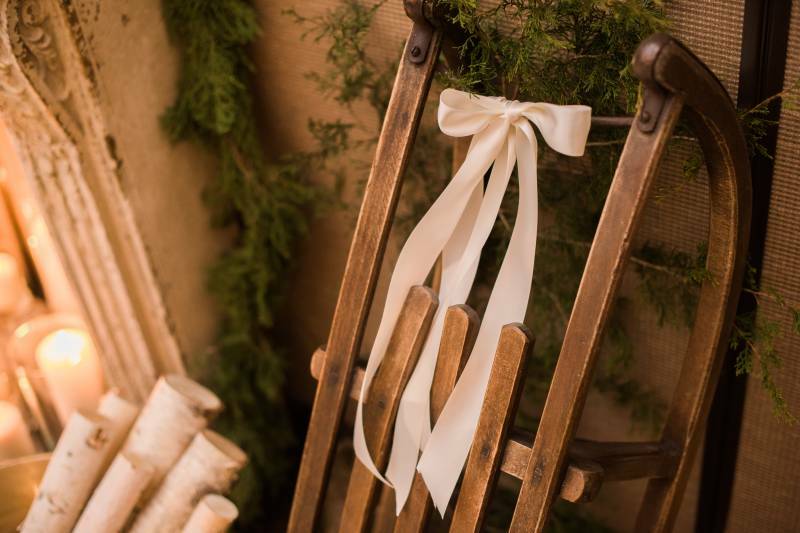 From planner Megan of Locklane Events: The Nordic Inspiration expanded into an overall European feel as White Door allowed us to select a combination of wood and linen items. 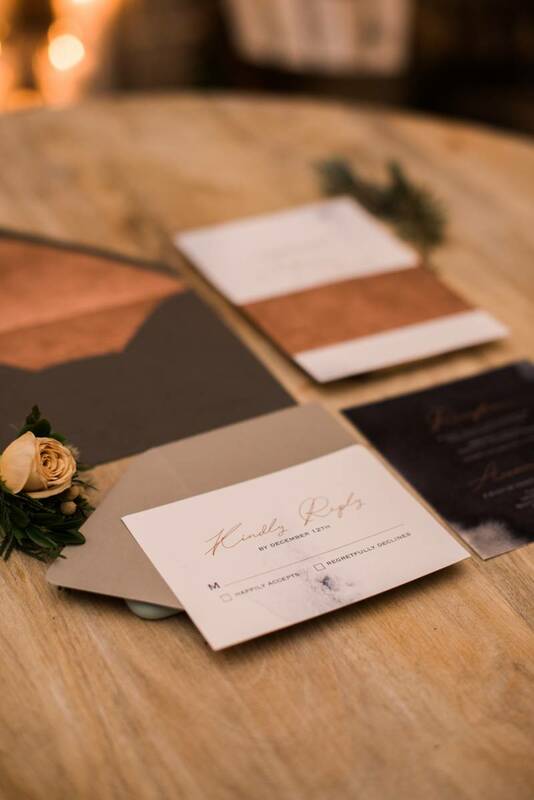 Our neutral tones were intended to reflect a feeling of being in tune with nature. 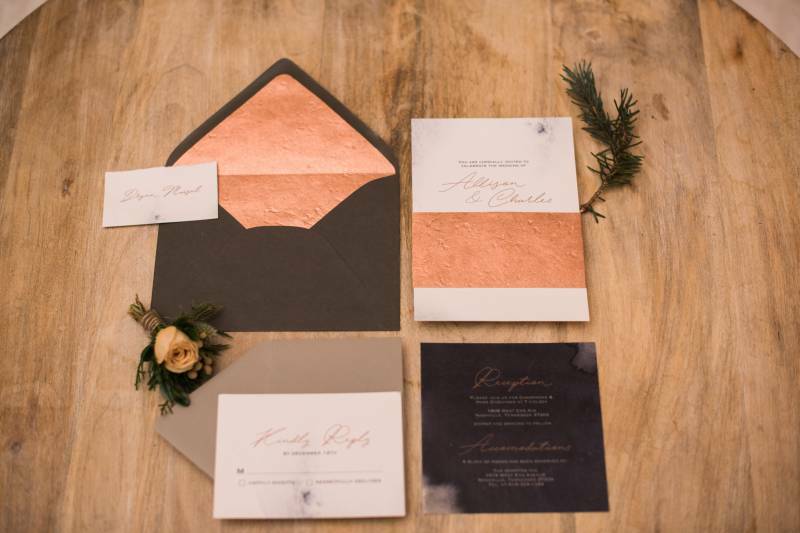 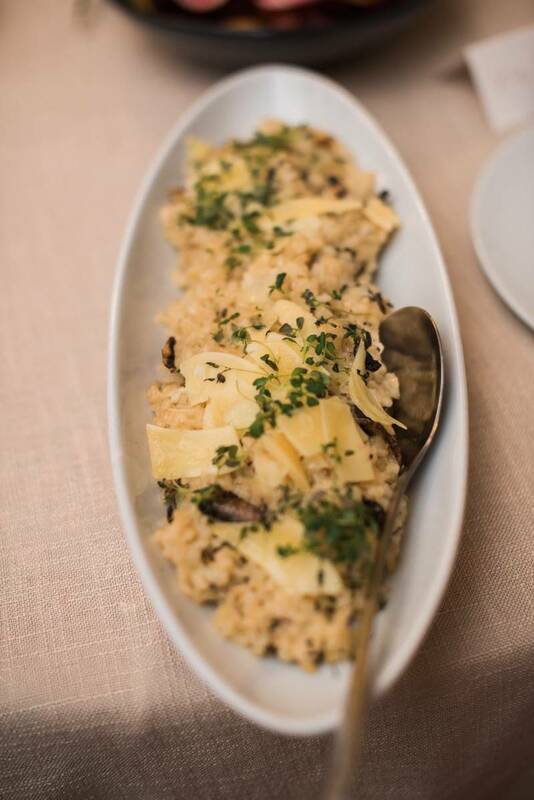 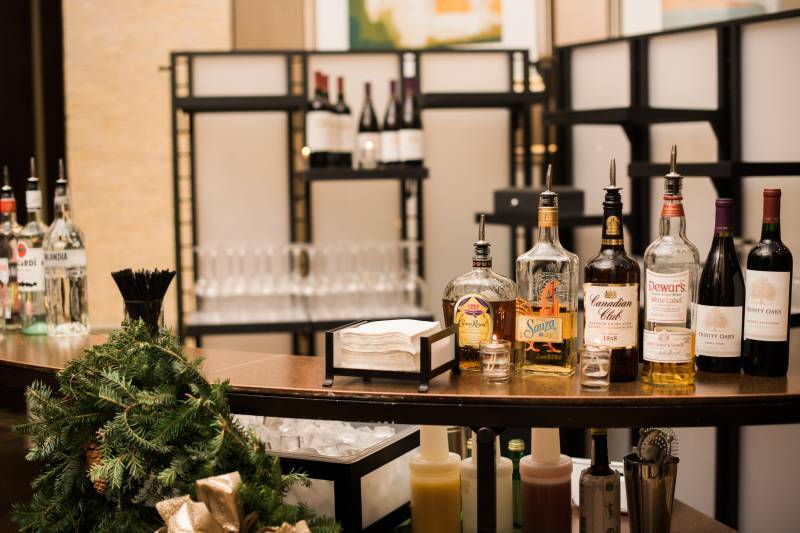 We also wanted the mixed textures to reflect the cozy, warm atmosphere that we paired with the elegance of the hotel. 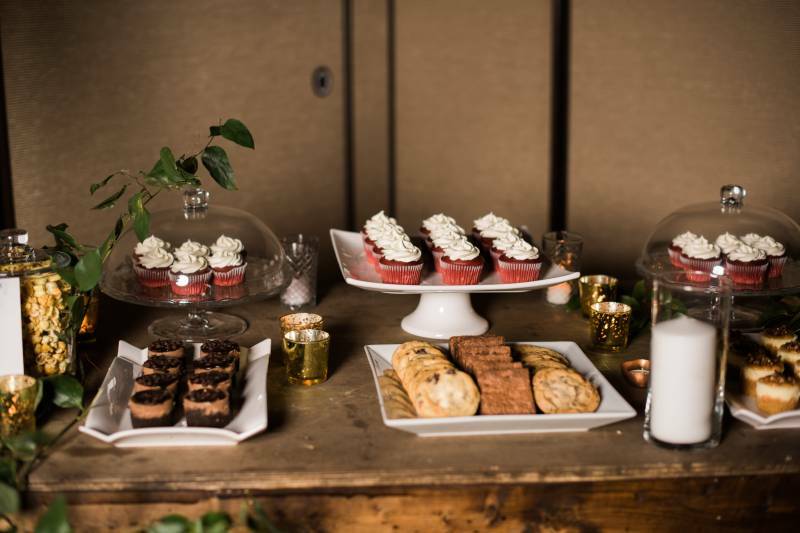 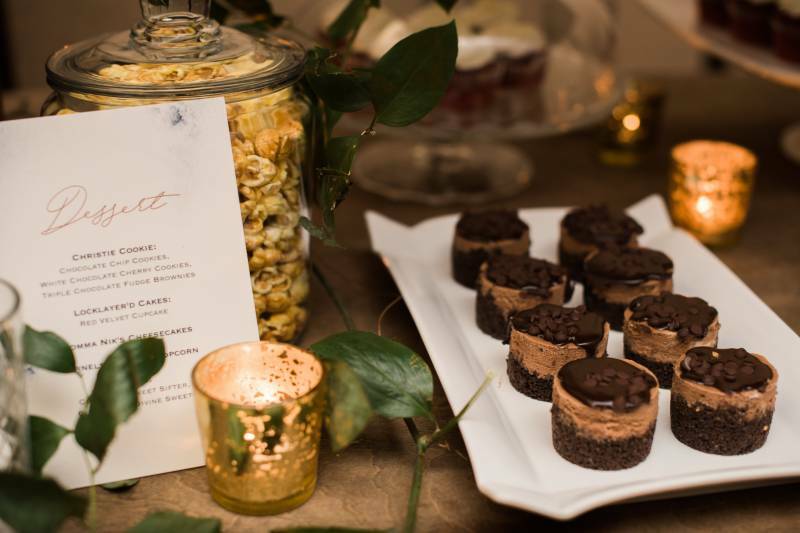 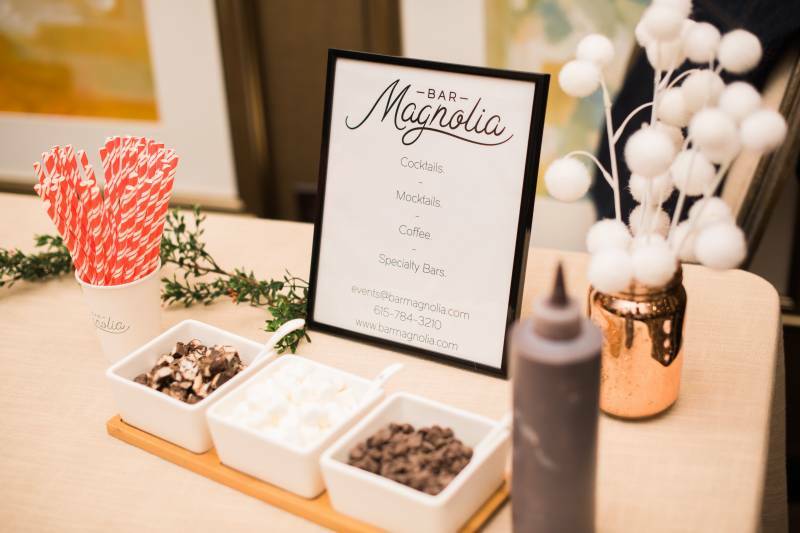 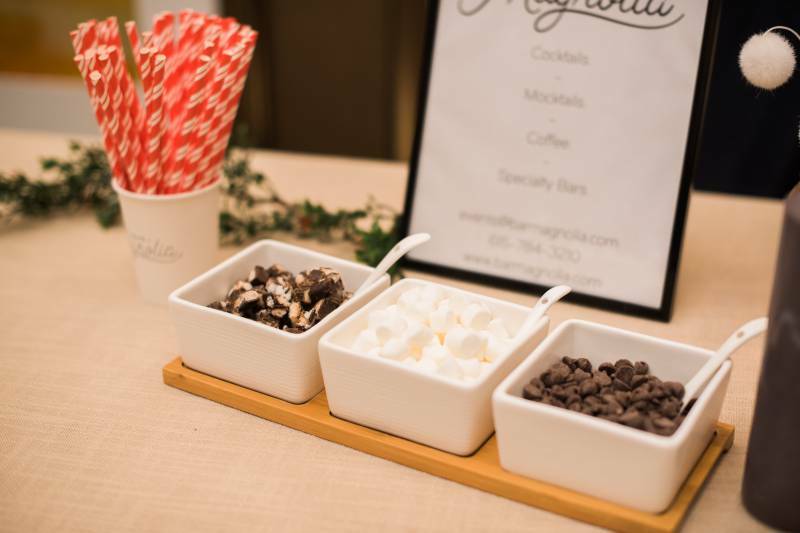 From planner Megan of Locklane Events: A wooden cart was used to display the wide variety of desserts available; all options were listed on the menus by Brinkley Studio. 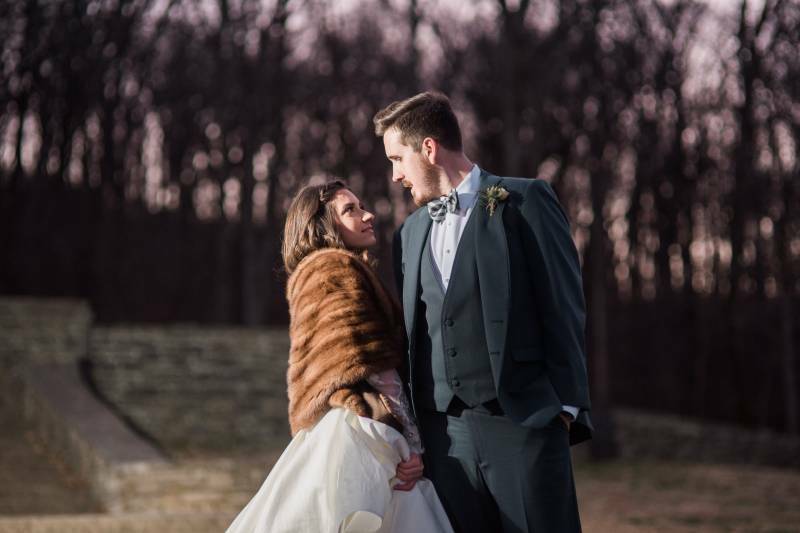 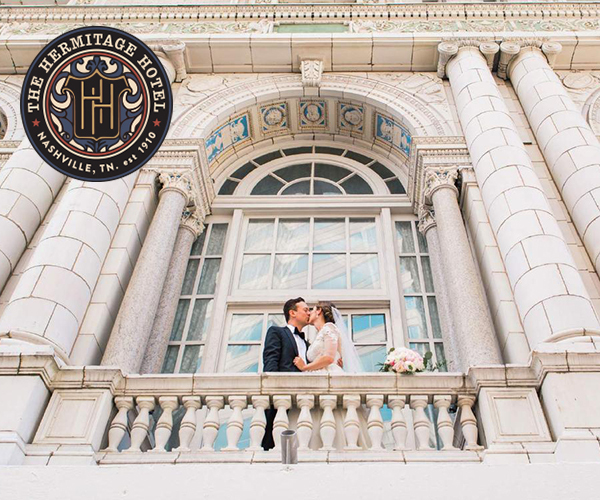 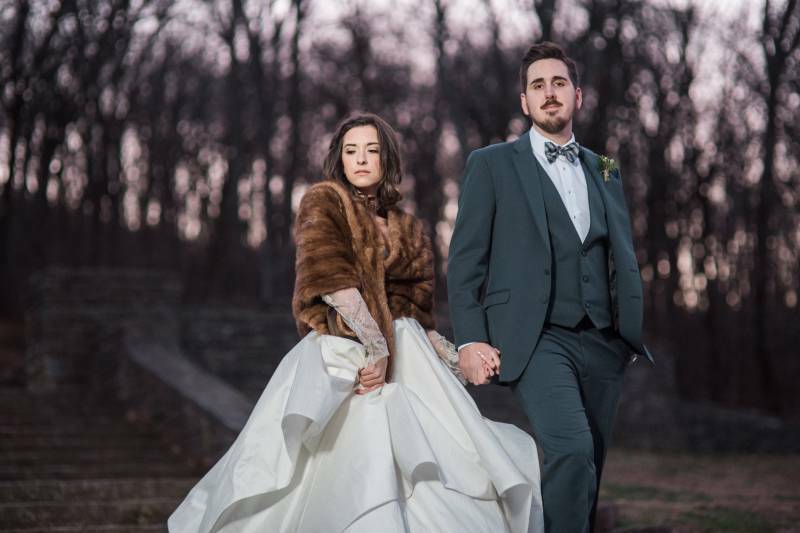 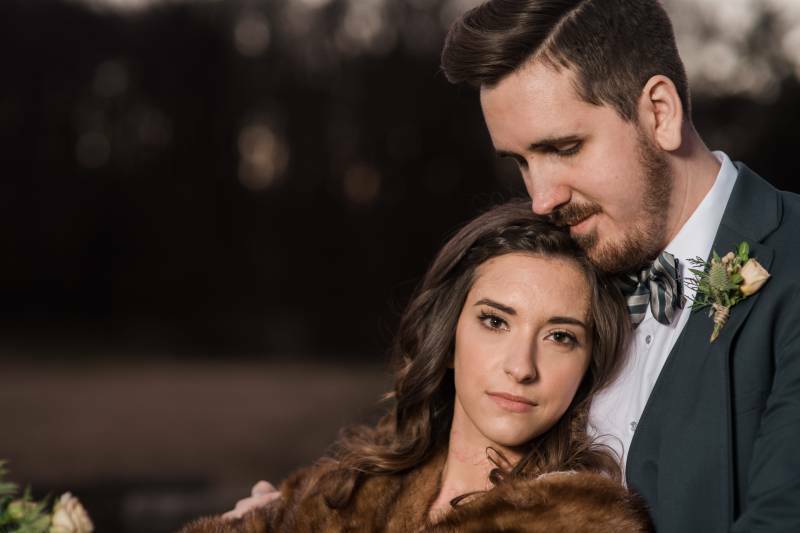 Ryan Tolbert captured the essence of our inspiration within the Hutton, while also venturing out to Percy Warner with our couple to indulge in some nature shots. 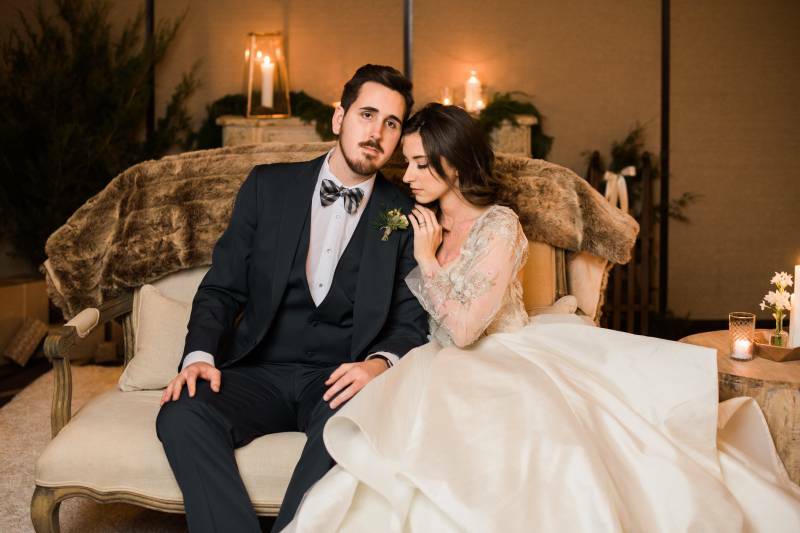 Thanks so much to Megan of Locklane Events and the Nashville Wedding Planners Group for sharing this shoot with us! 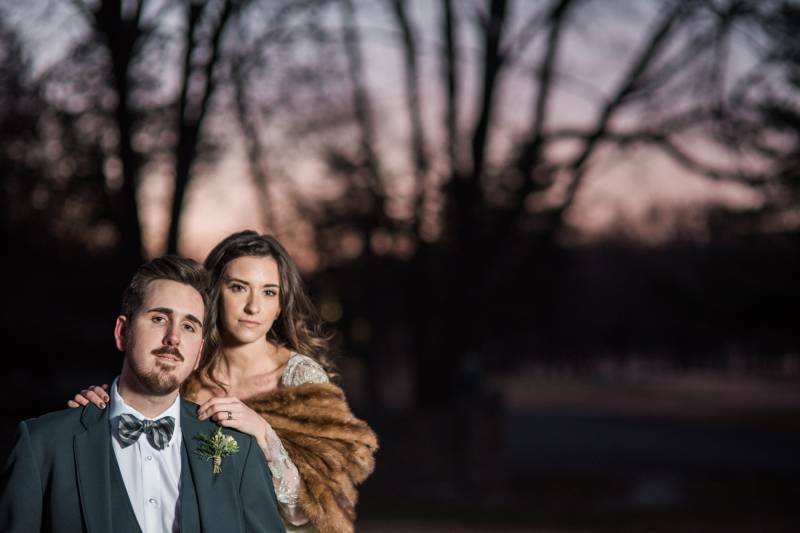 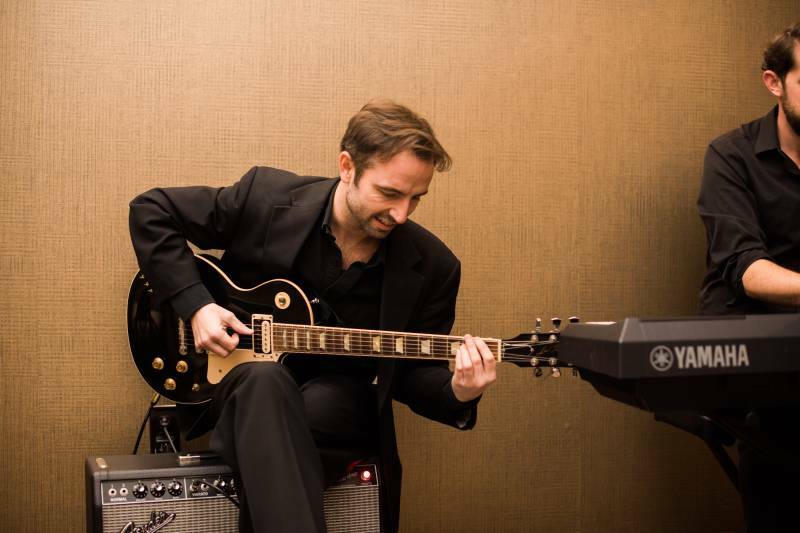 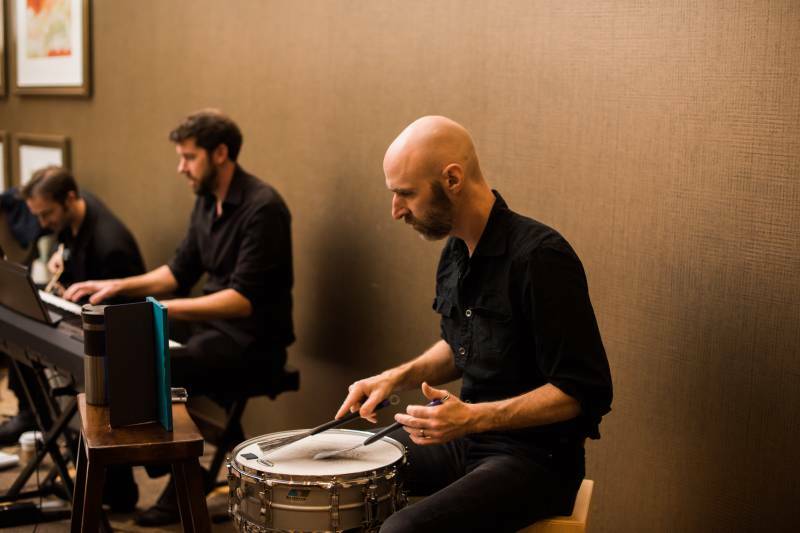 And Ryan Tolbert for the photos - you can check out his work here!